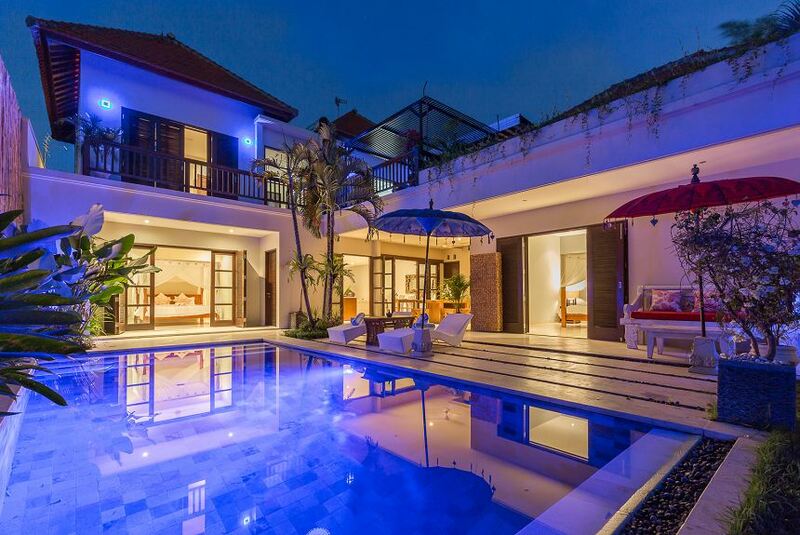 Villa Cikita Bali is located in a strategic area close to Nook Restaurant, walking distance to minimart, cafe, restaurants, bars, such as Hacienda, Metis, Sardine, 40 thieves bar, monsieur spoon, Da Maria and many more! 5 min drive to the beach, petitenget, Seminyak. Villa has a large living room, large poolside, sound system, TV to equalizer your holiday! We can provide Balinese massage, food in the villa! a held your small private celebration as requested: birthday, engagement, wedding etc. Villa builds in the 600sqm land, it has a large park can consist 3-4 cars and several motorbikes. Has a nice large living room, dining room, and kitchen. We have 2 big bedrooms downstairs and 2 big bedrooms upstairs with ensuite bathrooms. The nice cozy bed will comfort your sleep. Big balcony upstairs is the perfect spot to relax and enjoy the breeze. Nice garden and swimming pool are the best view with amazing blue light in the pool brings up the magical ambiance at night!